Managing Director Efrem Cockett swapped the office for a filmset this December when he shot scenes for a new big screen adaptation of Murder on the Orient Express. The film, based on the Agatha Christie novel, is being directed by Sir Kenneth Branagh and is currently in production in the UK. The cast list includes Johnny Depp, Michelle Pfeiffer, Daisy Ridley, Penelope Cruz and Judi Dench. Sir Kenneth Branagh, who directed Efrem in his scene, also stars as the famous Belgian detective Hercule Poirot. 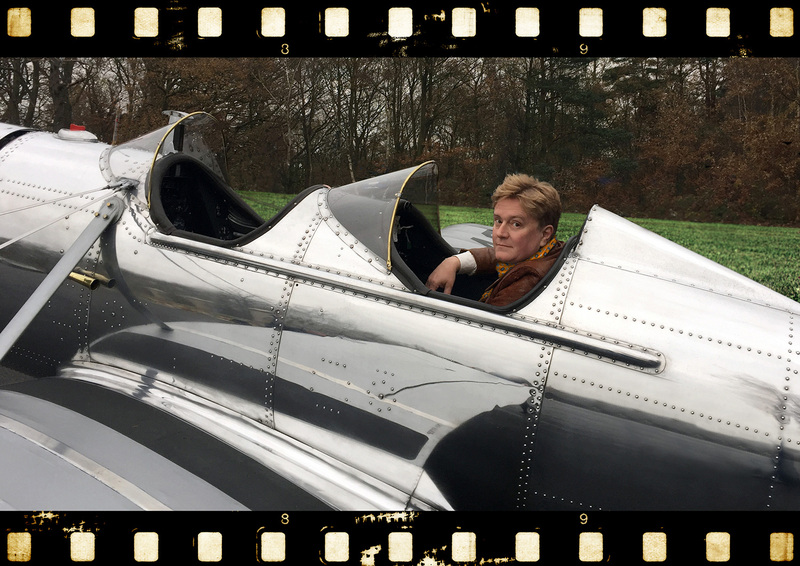 Efrem spent the day on set filming the short scene featuring his recently restored vintage Ryan STM-S2 aircraft, and was lucky enough to be shown around some of the sets, though he’s under strict instruction not to release any production details. The film isn’t out for another year, so Efrem will have to wait a while to find out whether he’s made the final cut. Murder on the Orient Express is scheduled for release in November 2017.